Now our entire product range in one catalog! We have summarized our programs for anchoring and framing technology in one catalog to give you a better overview of our complete product range. Find out more about our current products and prices 2019. The current European Technical Approvals expired in mid-2018. 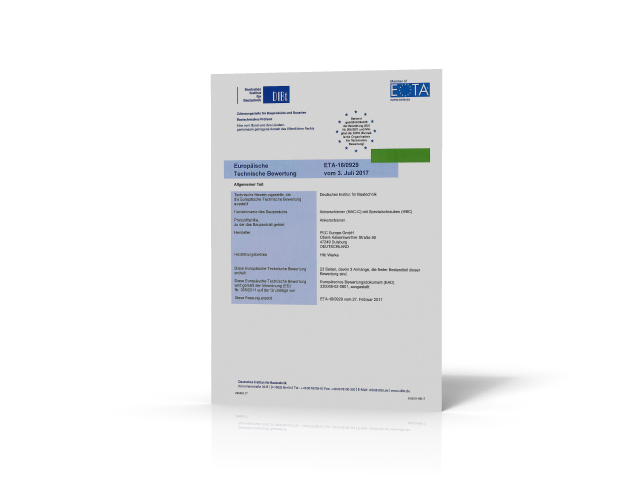 Since then, the improved European Technical Assessments, based on the EAD guidelines, have applied. The new model has international validity and allows the fixing to be dimensioned according to the current state-of-the-art. This leads to optimized, safe fastening solutions for your future projects. Since the beginning of 2018 we are dimensioning our cold- and hot-rolled anchor channels according to ETA-16/0929. PEC GROUP - "Best of both worlds"
PEC develops, produces and distributes technically sophisticated and approved anchoring solutions for the construction industry. The product offering ranges from anchoring and façade technology to system components as well as an extensive selection of accessories. 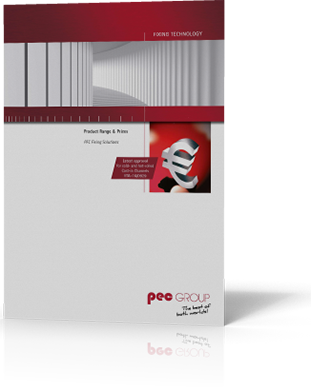 PEC is a German manufacturing company that combines German engineering know-how in fixing applications with worldwide engineering and distribution service. PEC Group has been taken over by the HILTI Group in autumn 2016. This benefits our customers because will be able to grant worldwide comprehensive support and service in future and through joint product innovations the choices for the best fixing technology will be extended. PEC can not only realize high-end fixing standard applications with the wide range of ETA approved products – we are also flexible to optimize a product according to the needs of your customers with the support of production and engineering. Quality and customer service are the core of our business activities. This is guaranteed by certified products, competent technical support, worlwide sales representatives and delivery warehouses in Europe and Asia. Our personal through aou worldwide PEC and Hilti sales Teams as well as our sales representatives ensure smooth and fast order processing.